The second annual Festival of Trees began Friday, November 30 and ended Sunday, December 2 at Windham Hill United Church of Christ. 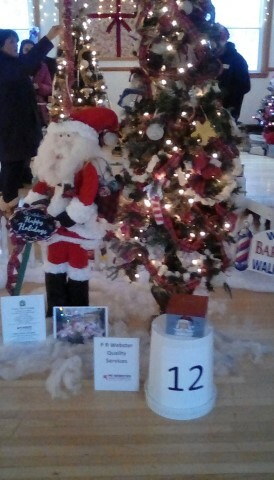 The church’s Fellowship Hall was a Winter Wonderland as it was home to 20 trees, all decorated and with gifts which were donated by local businesses. Many families and their children will have a very Merry Christmas as a result of this year’s Festival of Trees. The 2019 WHUCC Festival of Trees will be December 6 through 8.